Good morning everyone! Welcome to another post about furniture that we have no idea what to do with. We always seem to acquire this furniture and have no idea how to use it or how to change it. Mom found someone who was selling chairs online for $10 a chair. They are from a hotel, so pretty normal looking chairs, and in great condition. 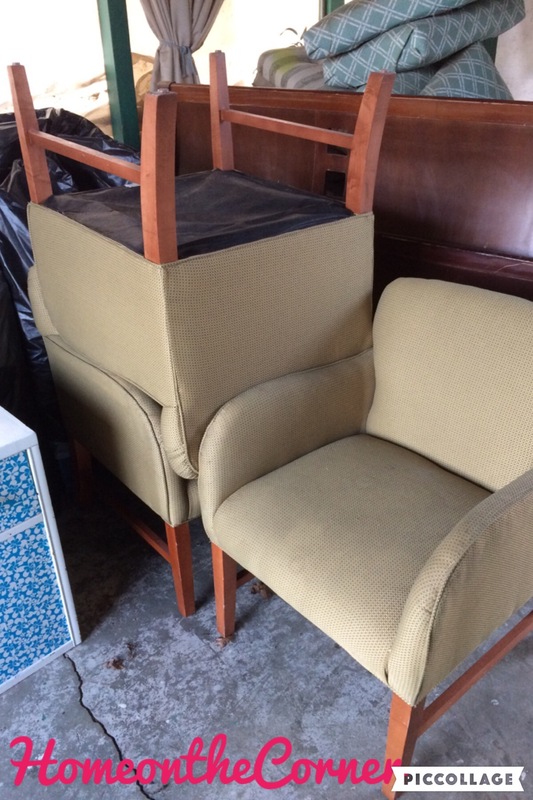 Well, when mom got there, someone had brought the seller more furniture, so now the chairs were $5 a piece. What a deal! So here’s what the look like. They aren’t the most beautiful chairs, but they are functional and somewhat comfortable. They work well for kitchen chairs and a computer chair, and for a great price. So now comes the hard part…what do we do to fix them up? If you have any suggestions for what to do with our chairs, please leave us a comment! Wow – I wish I lived near you – I would love to have some of those chairs around my craft table. They would be much better than folding chairs for card classes! Anyway (If I do this right) here is a pin from one of my boards on recovering an office chair. It really seems very detailed and helpful. I still have not done mine so I can’t give you any first hand advice – sorry. I hope this helps. Good luck. Thanks so much! I will check out the pin! They are a steal and a great find! I would try to reupholster them, with some colorful fabric. 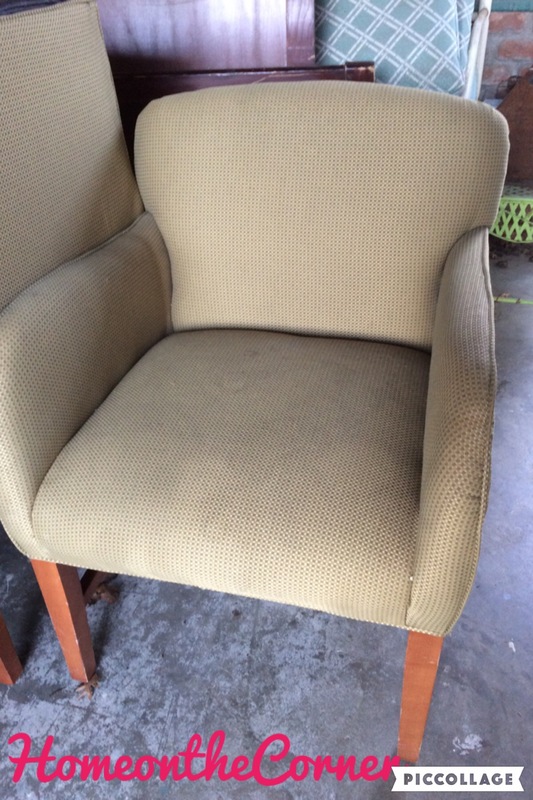 Not that I know anything about re-upholstering but perhaps you want to try that? Thanks for your input! We heard that from someone else too, so we might have to give it a try! Thank you so much! My daughter sews better than I do, so we will be checking out your tutorial. Thank you for the idea and for coming by!